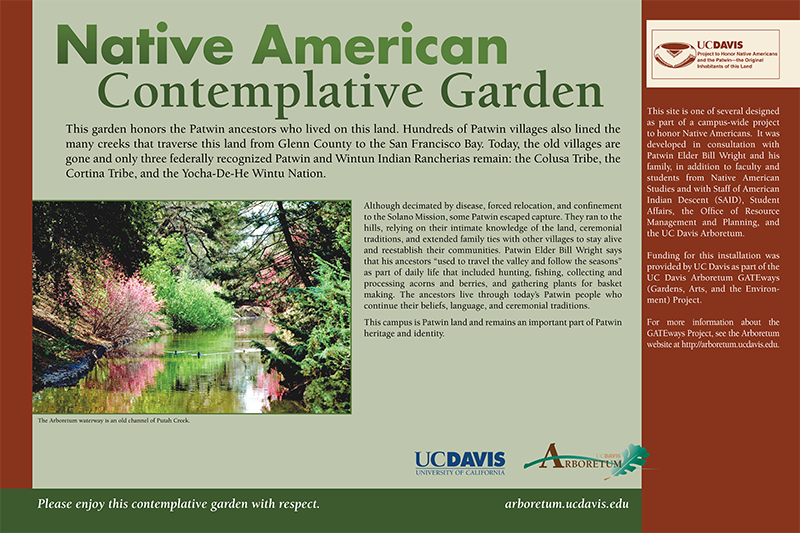 Dedicated in November 2011, the Native American Contemplative Garden is the first phase of the UC Davis Project to Honor Native Americans. This project began several years ago after the discovery of Patwin remains during the construction of the Mondavi Center catalyzed the desire to educate the UC Davis community about the first inhabitants of this land. 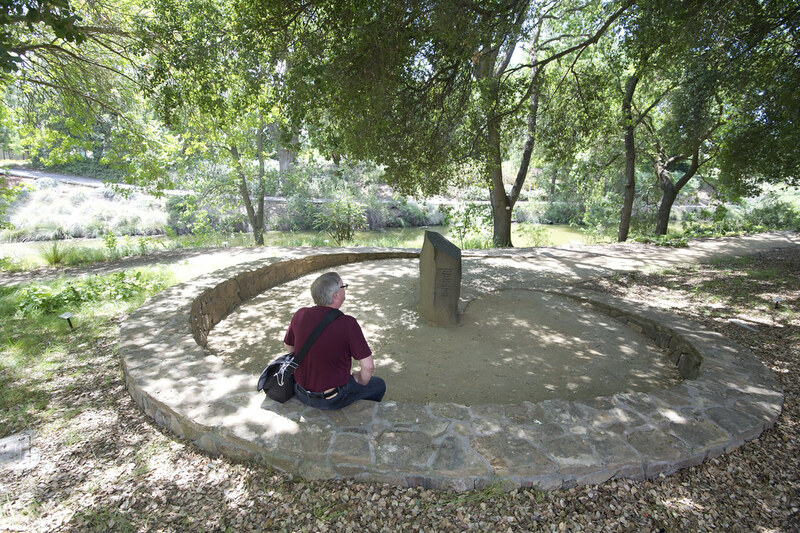 A committee of UC Davis faculty, staff and students, including members of the campus Native American community, consulted with Patwin elder Bill Wright and engaged Far Western Anthropological Research Group to develop concepts for a series of honoring sites across campus.